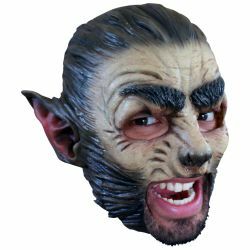 The chinless wolf mask gives you the look of a wolf but leaves your mouth open so that you can talk and make a wider range of facial expressions. Perfect for Halloween and haunted houses. This masks can also be used for werewolves or the beast in “Beauty and the Beast”.